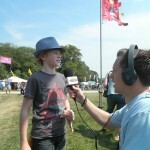 Fun Kids is unique – a radio station for children. Broadcasting on DAB Digital Radio in London and across the UK online and through mobile apps, we provide dedicated programming for tweens, younger children and their families. Since this first original concept though, Fun Kids has evolved into a popular children’s brand that is truly multi-platform. Our listeners don’t see us as just a radio station and we don’t want them to. Whether it’s interacting with the website, downloading our podcasts, playing on the Fun Kids apps, watching our latest videos or simply listening in the car with their family, Fun Kids is something children engage with anytime, anywhere on any device. As such we regularly work with leading children’s brands in sectors that range from publishing to television and toys to video games, providing them with numerous ways for clients to reach and engage children and their families. The programming is targeted at tween audiences (7 to 12 year olds) but also includes content for younger children in our Fun Kids Junior section. Music, games, facts, competitions and silliness define the station. Fun Kids is consistently recognised as being at the top of it’s game having won the Sony Radio Academy Awards for ‘Best Digital Radio Station’ twice – no mean feat when it’s up against 6Music or Planet Rock. Its Breakfast presenter won ‘Best Newcomer’ at the Sonys and in 2013 it’s been nominated as Best Station in both the Sony and Arqiva awards. It’s gone on to win further Arqiva awards for it’s branded content. 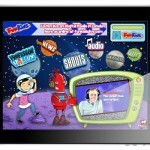 The brand’s website – funkidslive.com – is a constantly updated entertainment website for tweens. With news, competitions, quizzes, games and facts – it’s a destination for over 100,000 visitors each month. With banners, integrated content and paid-for competitions, there’s loads of great ways partners can get involved. Fun Kids is the third biggest UK podcaster after the BBC and Absolute Radio – with over 100 channels of video and audio content – and over 200,000 downloads a month. Find Out More or See us on iTunes. 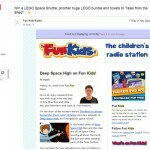 Fun Kids creates a whole host of video content each month over eight YouTube channels. Whether it’s video game walk-throughs, song parodies, interviews or behind the scenes features – we do it all. 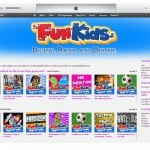 Featured on funkidslive.com, in iTunes and YouTube – Fun Kids video goes everywhere. Fun Kids has its own fully-features mobile apps for iPhone and Android. In the app listeners can tune into the radio station, look at our eight YouTube channels, listen to over 100 on-demand podcast channels, read articles and enter Fun Kids quizzes. Fun Kids is also a brand that’s out and about. You can see us at events like Kidtropolis, Brick, Camp Bestival and Beanotown at the South Bank. We think reaching parents is as important as creating content for kids. Our research shows that most Fun Kids listening is with parents – so messages reach both. We’ve also created a parents newsletter – sent to 6,000 people each week – and Facebook and Twitter that targets parents too.